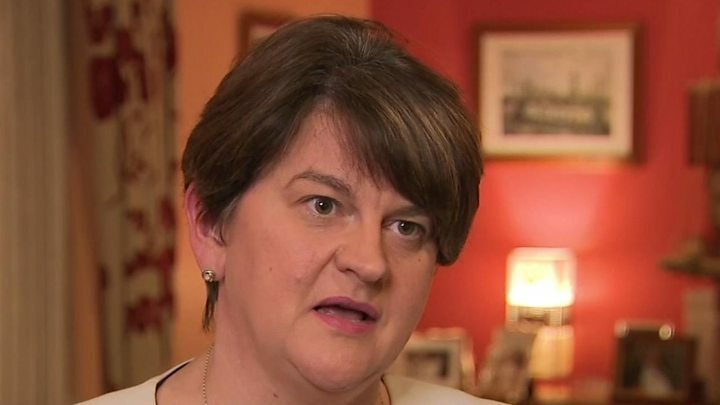 The DUP has confirmed it will not back Theresa May's Brexit deal despite the prime minister's promise to step down if MPs backed it. In a statement, the DUP said it has had "good discussions in recent days" and that "some progress on domestic legislation has been made". However, it added that as "necessary changes" to the backstop had not been made and it would "not be supporting the government if they table a fresh meaningful vote". The DUP said that whilst they want to secure Brexit, the terms have to be in accord with the integrity of the UK reiterating that the backstop "has the potential to create an internal trade border within the United Kingdom and would cut us off from our main internal market, being Great Britain". A number of Conservative MPs, including Boris Johnson, have said they will now back the prime minister's deal after she told MPs she would stand down if it was voted through Westminster. Meanwhile, in the House of Commons, MPs have held votes on alternatives to Mrs May's deal. The DUP voted against holding a confirmatory referendum on any deal, against revoking Article 50 as a last resort, against staying in the customs union and against Labour's plan for a customs union and close alignment with the single market. The party abstained on maintaining membership of the two trading partnerships known as EFTA and the EEA and also abstained on the Common Market 2.0 which would leave the UK in the European Single Market for many purposes. One DUP MP, Jim Shannon, voted against a no-deal Brexit - the others abstained.